The dispute over whether WJSN members Meiqi and Xuanyi would be allowed to promote with their group while in Rocket Girls from ‘Produce 101 China‘ has seemingly been resolved, as Yuehua Entertainment announced that both members would withdraw from Rocket Girls. Definitely a significant move considering that Meiqi and Xuanyi placed #1 and #2 on the show. Touching upon the conflicts, Yuehua explained that they had been in constant negotiations with Tencent regarding the matter. 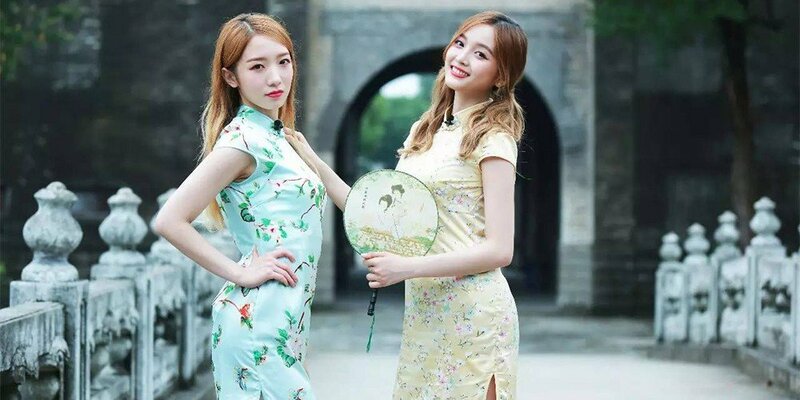 However, things did not work out as they stated, “We requested that Mei Qi and Xuan Yi be able to promote simultaneously as Rocket Girls and WJSN, but our request was denied.” The agency stated that such a stipulation had been agreed upon by Tencent before Rocket Girls was formed. If the rumors about the Rocket Girls contracts were true (not to mention their housing setup), if anything I just feel bad for the duo. I like WJSN just fine, but realistically they’re a middling K-pop group right now and the pair were on the periphery compared to other members. In Rocket Girls they were center, and fame in China has proven alluring for even members of superstar groups, so it just seems like the duo would’ve liked the chance to springboard to popularity in China instead. I guess this is just what happens when two companies battle over contracts. I’m just rather shocked it wasn’t the massive Tencent that didn’t come out winners in the end. Well, Tencent has now accused them of breaking contract terms. Specifically regarding Tencent's statement on the Rocket Girls 101 / Produce 101 China contract terms, here is the translation. Guess this isn’t going to end quietly.